Watch as Bianca Olthoff challenges us to join the challenge! Watch Pastor Sam challenge us to join the Protect the Dreamers campaign. 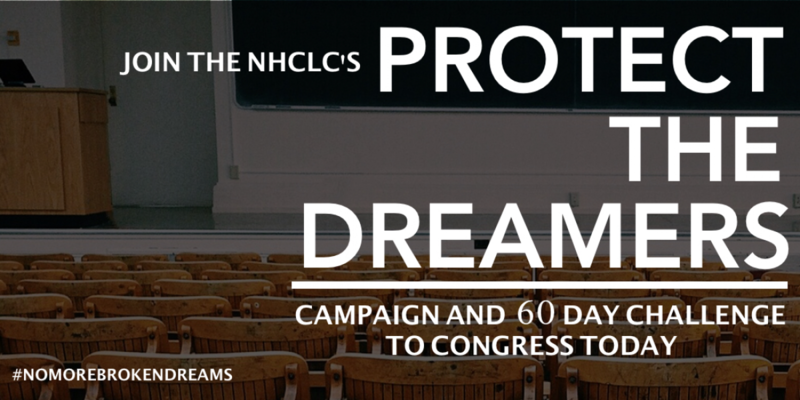 JOIN THE NHCLC’s Protect the Dreamers campaign and 60 day challenge to Congress today! 1. Click here to sign on to the movement. 2. Click here for your member of Congress’ contact information. Protect the Dreamers Campaign Powered by WordPress.com.